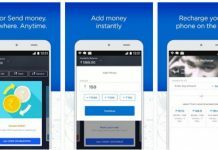 Ringo, a voice calling app from Riva that came into limelight last year has received a major update through which a user in India will enjoy cheap local calls for an unbelievable tariff of 19 paise per minute. The telecom operator will charge 30 to 60 P/Min unless you activate a special rate cutter pack. The earlier version of Ringo allowed users to make international calls to their friend or relative located in Bangladesh, Canada, Mexico, US and many other countries at dirt cheap rate. Now it supports local STD calls. Ringo is available for installation on Windows phone, IOS, and Android devices. Open the app store on your smartphone and install Ringo. Run this app, select your country code and enter the phone number, name and email address for registration. The app will now request its server to send a verification code to your device. Verify your account and you’ll be logged into the dashboard. Note: Ringo will work only if you allow it to read your contact details. You’ll also be asked to enable GPS support for it. To talk with a friend, the user has to tap his/her number from the Interface of Ringo. Instead of connecting the user with another person, the server will call him back within 30 seconds. When you answer the call from Ringo, a call will be made to the friend (with some other number). In this way, both the entities will be connected with each other. One interesting fact about Ringo is that it doesn’t use 3G or 2G data when you’re using this app. But to connect to the server, this app requires a data connection. Ringo’s dashboard has call rate section in which a user can check tariffs before dialing a number. It comes with an inbuilt number dialer. I tested this application on my Xiaomi device. Initially, I was not able to make a call. After restarting the app, Ringo worked as advertised. New users will get 50 free local and STD minutes. You will earn Rs 10 credit when you convince your friend to make a call via Ringo. You can also install recommended apps on your device to earn extra credits. WhatsApp and Hike messenger use voice over IP technology and they don’t charge you a penny for a call. These 2 applications don’t support cross-platform VOIP calls i.e a WhatsApp user will be allowed to another user who is using the same app. Ringo is a good alternative to VOIP based messengers as it promises cheap calls to any number.